Take your seats, because Where Is Broadway? is ready to take center stage! 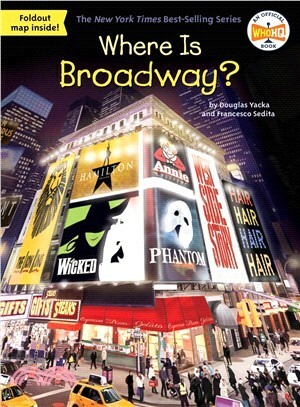 In a lively and engaging style, authors Douglas Yacka and Francesco Sedita cover the development of the first theaters and the birth of the American musical, as well as the shows and stars that have become Broadway legends. Readers will get the inside story on their favorite shows and may even discover some new ones. Francesco Sedita and Douglas Yacka live in New York City. This is their first joint title in the Where Is? series.